The Effects of An Animal Shelter On A Dog - Pflugerville Pets Alive! On Sunday, January 17, 2016, Pflugerville Pets Alive was able to pull a sweet, white and black spotted, terrier mix from the Pflugerville Animal Shelter. When we took Annie out of her kennel to meet her foster family, Annie, a 7 month old puppy, was terrified. Her legs were shaking, and she seemed unsure of the situation. Undoubtedly, she has been through this before— and wonders if today will be the day she doesn’t have to sleep on a concrete floor in a cage in a noise filled building. Annie tucked her tailed (a sign of fear) as she met her foster family’s dog, a confident, playful terrier mix. We do not know very much about Annie’s life before she arrived at the shelter, other than that she dumped at a local veterinary clinic. 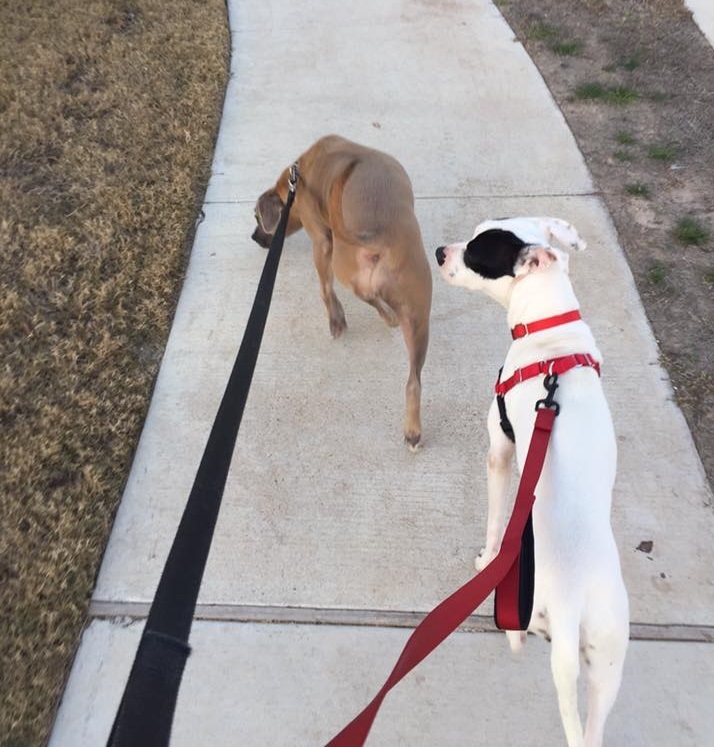 Annie has not had regular socialization or enrichment since she arrived at the shelter, and she does not seem to understand how to play with her foster family’s dog. She does enjoy her foster family’s attention. Annie quickly warmed up to her foster family’s daughter! experiences are stressful and frustrating amid noise, chaos, and fear. Dogs have limited to no enrichment and sometimes not given more than one chance to be outdoors or walked! 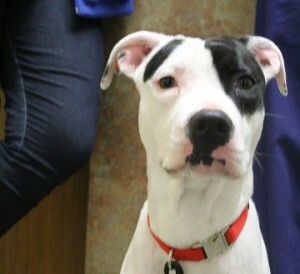 Annie was once a playful, outgoing, confident puppy! After talking to someone who met Annie at intake, we learned she was incredibly eager to say hello— a far cry from the dog who tucks her tails and is afraid of loud noises! She wanted to greet humans and other dogs with excitement. Pflugerville Pets Alive wants Annie to regain her personality, and her foster home is the best possible place to set Annie up for success. Nice leash walking!er ear! Annie is learning to walk on a leash properly. 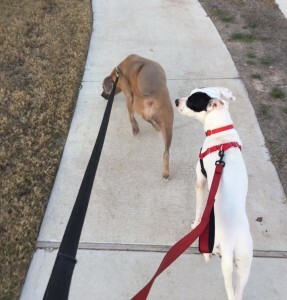 She has a wonderful example in her foster family’s dog, and Pflugerville Pets Alive is using its resources to ensure she is healthy (Annie needs a minor surgery.) and as confident and playful as she was before she came to the shelter. 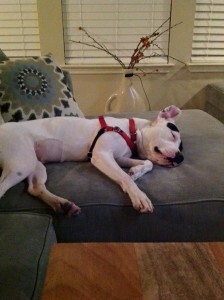 If you are interested in helping dogs like Annie, please fill out a foster application (http://pflugervillepetsalive.org/fosterapplication/). Pflugerville Pets Alive is dedicated to helping the Pflugerville Animal Shelter and the community of Pflugerville, but we need your help to do so! Become a foster, and help save a life. Annie is available for adoption through Pflugerville Pets Alive. Visit http://pflugervillepetsalive.org/adoptionforms/ to submit an application adoption and set up a meet and greet with Annie. Dogs like Annie are in shelters all across the nation and even right here in Pflugerville. If you would like to adopt from the Pflugerville Animal Shelter, they are open everyday (except Wednesday) from 11-6 at 1600 Waterbrook Drive.